Is Lincoln a true luxury brand? The only way to get the latest safety tech on the 2018 Lincoln MKX is to select the Reserve trim level, at which point the toney Black Label isn’t that much pricier. The 2018 Lincoln MKX has an athletic feel and a classy interior, but we wish that its most advanced safety tech was available at a lower price point. The 2018 MKX is available in Premiere, Select, Reserve, and Black Label trim levels. Black Label includes perks such as free car washes and annual detailing. For 2018, the MKX changes little aside from some new paint colors and additional apps for its Sync 3 infotainment system. All four MKX trim levels come standard with a 303-horsepower 3.7-liter V-6 engine and front-wheel drive. Options include all-wheel drive and a twin-turbo 2.7-liter V-6 rated at 335 hp. The base V-6 is plenty powerful, but the optional twin-turbo engine provides more off-the-line acceleration ability and makes for more responsive high-speed passing. Both engines use regular gas, but neither musters more than 20 mpg combined. A 6-speed automatic transmission is standard across the board. Underneath its tony sheetmetal, the MKX is closely related to the Ford Edge crossover, but only the Lincoln has an adaptive suspension with a trio of modes. 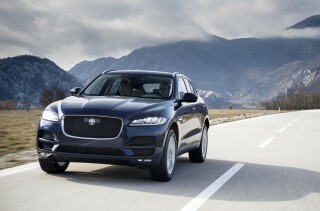 Even the firmest setting, Sport, filters out bad pavement and works in harmony with direct, but not too heavy steering. The MKX’s available all-wheel-drive system offers good four-season traction, but the larger wheel options come with tires not well-suited to year-round use in snowy locales. The MKX provides excellent room for four passengers and its interior generally feels suitably upmarket. The base Premiere trim level’s seats are covered in synthetic leather, while real leather is included on MKX Select and above. Among the more decadent options are a 19-speaker Revel-branded audio system and a massive panoramic moonroof. However, Lincoln restricts the most advanced safety tech like automatic emergency braking to only the Reserve and Black Label trim levels, where it’s a pricey option bundled with other collision-avoidance gear. Most rivals make that equipment standard. The 2018 Lincoln MKX hits some luxury cues but misses some others. The 2018 MKX may share its underpinnings and engines with the Ford Edge, but only its profile recalls that mass-market crossover. In its details, the MKX delights with gentle hints of chrome and a voluptuous, curvy style. A large twin-wing grille takes up considerable real estate, but it’s a look Lincoln has moved away from on its Continental flagship. The MKX’s cockpit treads further from Ford with big dash shapes and minimal use of cut lines that help draw eyes toward the center console. What’s not there is perhaps most notable: there’s no gear lever, an odd ergonomic quirk that seems to answer a question nobody asks. Instead, you’ll find buttons along the center stack to control the transmission. Particularly expressive both inside and out is the Black Label trim level with its trio of interior design “themes,” each with its own whimsical name. We’re particularly partial to the foxes-and-hounds-set feel of the Thoroughbred package that pairs black and chestnut leather with maple wood for a modern take on classic luxury. Then again, you’ll pay big money for Black Label—upward of $55,000. The 2018 Lincoln MKX has an upmarket feel with good acceleration and a comfortable ride. All four 2018 MKX trim levels come standard with a 303-horsepower, 3.7-liter V-6 that motivates this crossover well. We’ve only had limited seat time with the MKX’s base engine, but experience with it in other applications has left us generally very satisfied. A 6-speed automatic transmission is standard and it works well, firing off fast downshifts and smooth upshifts. 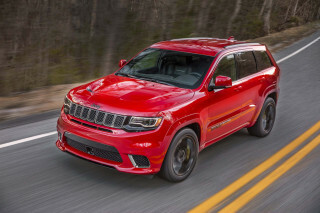 The optional 2.7-liter twin-turbo V-6 may not be much more powerful on paper with its 335-hp rating, but its smooth feel and rush of torque make it worth the extra charge. The 6-speed automatic is down a gear or two compared to most rivals with similar power outputs, which helps explain the MKX’s mediocre fuel economy. 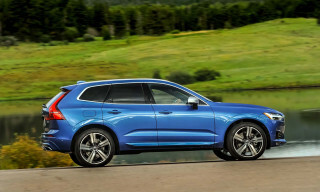 Overall, the twin-turbo V-6 feels more upmarket and allows the MKX to run against rivals like the Volvo XC60 T6 and the Audi SQ5. Those European competitors may deliver sharper handling overall, but the Lincoln’s long wheelbase and standard adaptive suspension provide it with a comfortable, composed ride. The suspension’s three-way adjustability on all-wheel-drive models seems “just right” in Sport mode to our eyes for the way it tightens things up without feeling too stiff overall. We’d skip the optional 20-inch alloy wheels, mostly because of the limited all-season tire options available once the factory rubber wears out. The MKX’s steering is also adjustable. Dial it into Comfort mode and it’s old-school Lincoln light; Sport mode matches BMW for heft, if not for precision. Certainly up to par are the MKX’s strong brakes, which provide drama-free stopping even with a full load aboard. The 22-way massaging seats optional on the 2018 Lincoln MKX are worth buying this crossover alone. All MKX trims come standard with heated, 10-way power front seats, while 22-way massaging thrones are an extra-cost option on higher trim levels. The standard seats are all-day comfortable, while the 22-way units are good enough that we’d put them in our living room. Row two is spacious, albeit without the extensive adjustment and a bench that’s somewhat flat. Heated second row seats are optional. For cargo, the MKX offers about 37 cubic feet of space with the second row upright and 73 cubes with the second row folded flat. That’s good space, made possible by the fact that the MKX is sized like some three-row rivals but only has seating for five. If you don’t need the extra space, the MKX suits the bill nicely. Base Premiere trims are a little downmarket with their synthetic leather and extensive matte plastic trim, but Select and higher models step up their game with real leather and glossy or open-pore wood trim. The MKX Black Label stands out for its four interior hue combinations and its softer leather, but its price tag can approach some heady luxury rivals once a few options are piled on. Good crash-test scores for the 2018 Lincoln MKX are offset by a frustratingly expensive advanced safety package. The NHTSA says that the MKX rates five stars overall, albeit with four stars for rollover. That four-star rating isn’t unexpected, however, since the NHTSA’s rollover score is calculated based on the vehicle’s center of gravity. 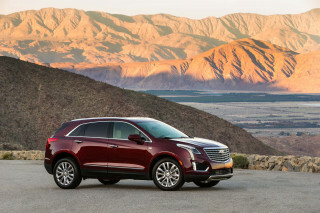 High-riding crossovers are almost guaranteed a four-star rating, at best. The Driver Assistance Package adds active lane control, adaptive cruise control, and automatic emergency braking with pedestrian detection. 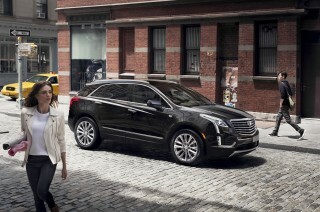 That suite of important safety tech is included on a number of rivals. The 2018 MKX comes standard with a full complement of airbags, stability control, rearview camera, and anti-lock brakes. 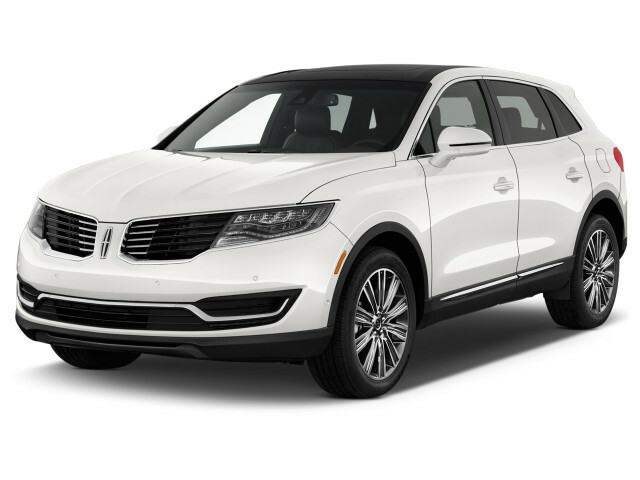 The 2018 Lincoln MKX is available in an array of luxurious trim levels, but its price escalates quickly. The 2018 MKX is one of just a handful of Lincolns fitted with parent company Ford’s latest Sync 3 infotainment system, which is intuitive, fast-responding, and features Apple CarPlay/Android Auto compatibility. In the MKX, the 8.0-inch screen is bright and easy to see, too. Anchoring the lineup is the MKX Premiere, at around $39,000 with front-wheel drive. All-wheel drive adds about $2,000, while the 2.7-liter twin-turbo V-6 runs another $2,000. The MKX Premiere includes the expected power features plus convincing synthetic leather upholstery, 18-inch alloy wheels, 10-speaker audio with a subwoofer, heated front seats, and HID headlights. For the most part, the only options at this trim level are paint and interior combinations. Next up, the MKX Select adds leather seats, wood interior trim, and some apps for the infotainment system. A panoramic sunroof, blind-spot monitors, a heated steering wheel, and navigation are optionally available on the MKX Select. The MKX Reserve includes most of the equipment optional on the Select and serves as the gateway to advanced safety features, all bundled together in the Driver Assistance package. The Luxury Package runs a hefty $4,000, but includes an impressive 19-speaker Revel-branded audio system, while the $1,720 Technology Package includes a function that can park the MKX with no driver intervention in case you’re parallel parking-averse. Topping the lineup, the MKX Black Label includes the whole kitchen sink, plus upgraded leather and a trio of interior design “themes” that dress up the crossover’s cabin. Black Label is more than a trim package since it also includes free car washes, an annual detailing, and certain concierge services before and after the MKX is delivered to its owner. Surprisingly, the most advanced safety tech is optional on the MKX Black Label. Tick all the boxes, including a $1,750 Chroma Elite Copper paint shade (it is indeed divine), and the MKX’s price skyrockets to nearly $70,000. The 2018 Lincoln MKX is surprisingly inefficient. 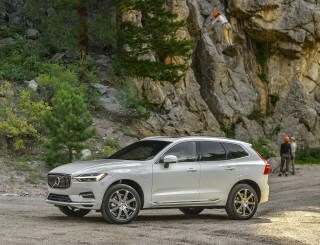 Stick with the base 3.7-liter V-6 and the best you’ll see is 17 mpg city, 25 highway, 20 combined with front-wheel drive and 16/23/19 mpg with all-wheel drive. The silver lining here is that the more powerful twin-turbo V-6 is actually more fuel efficient and it runs on the same regular unleaded fuel. 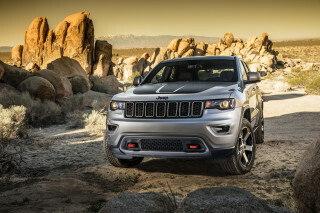 With front-wheel drive, the optional engine rates 18/25/20 mpg, while all-wheel-drive versions score 17/24/19 mpg. 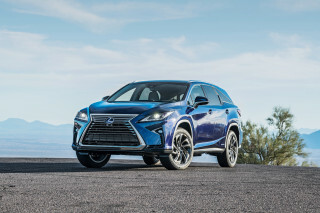 By comparison, even the thirstiest Lexus RX 350 is rated at 22 mpg combined, while the RX 450h hybrid comes in at 30 mpg with all-wheel drive. 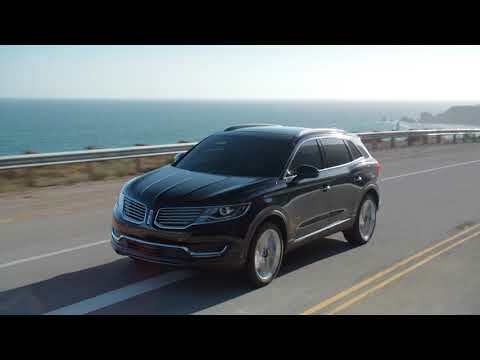 Looking for a different year of the Lincoln MKX?